Coloring: Shown here in original lithographic colors, with added hand coloring of highlights. 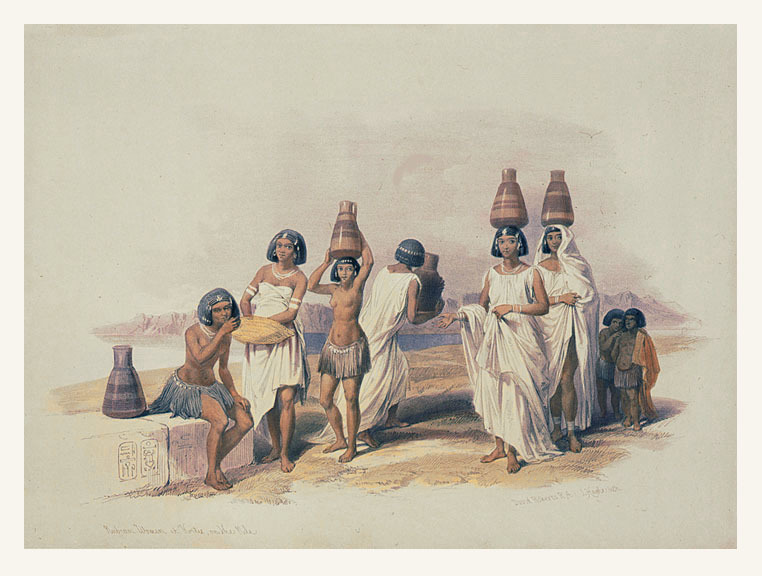 Comments: Roberts was very much taken with the beauty of the Nubian women, and made a number of sketches featuring them, of which this is one. The accompanying text enthusiastically describes their natural charm and grace. Price: $250 uncolored, $325 colored. Title: Nubian Women at Korti. Paper : 16 1/2" x 23 15/16"
Image: 10 1/8" x 13 3/4"